IDIL Fibres Optiques supplies lensed fibers designed to focus or collimate light. Our product is a small size fiber optic. It appears as an optical fiber (250 µm) with a several millimeters stripped extremity. 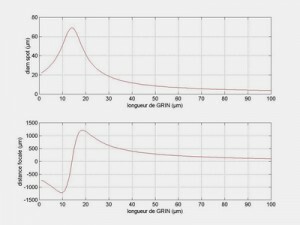 The ability of getting a mode diameter which is close to 60 µm leads to high positioning tolerance and high coupling ratio. 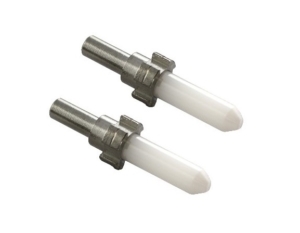 These optical components are also available with end surface coatings such as angled polished point which allows a less than -50 dB return loss as well as high power carrying. 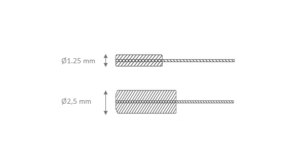 Furthermore, lensed fibers can be inserted into different types of optical connectors or ferrules. Lensed fibers developed by IDIL Fibres Optiques constitute an excellent way to couple up optical fibers and lasers for example. These lensed fibers also lead to several applications in the areas of switches or laser diodes among others. 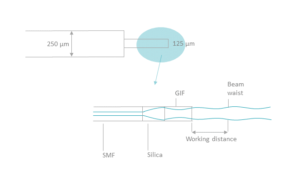 Lensed fibers work by adapting the mode field diamater to improve the mode matching between the waveguide and the fiber. This technology provides highly efficient couplings and collimating in a cost-effective way.